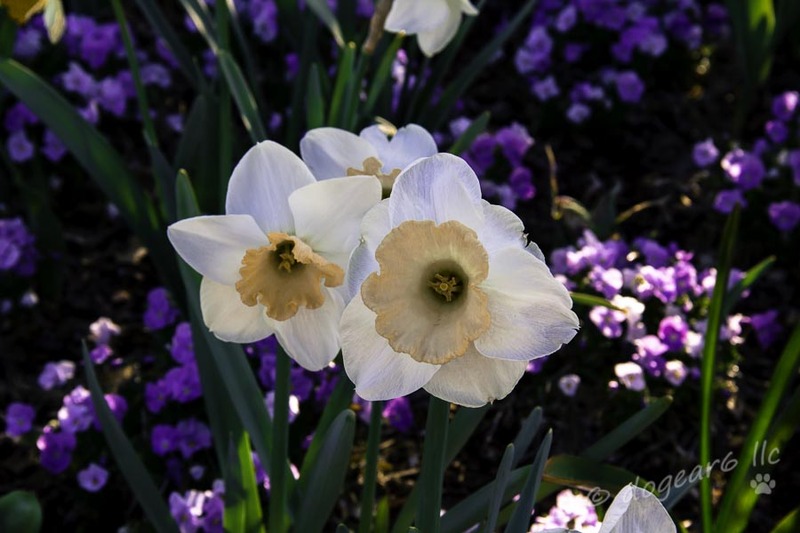 Spring beauty from Lewis Ginter Botanical Gardens. My road trip is going well. I had a wonderful weekend visiting my daughter and her boyfriend – I even learned a new board game called Dominion. My daughter beat me and her super smart sweetie. I think she would have enjoyed beating us more if she’d realized she was doing so well. He knew she’d won, but she had to count it out before she believed it. She’s a good player of board games, but the game has some complexities and she was so focused on playing the cards in the right order that she didn’t see how many points she was accumulating. 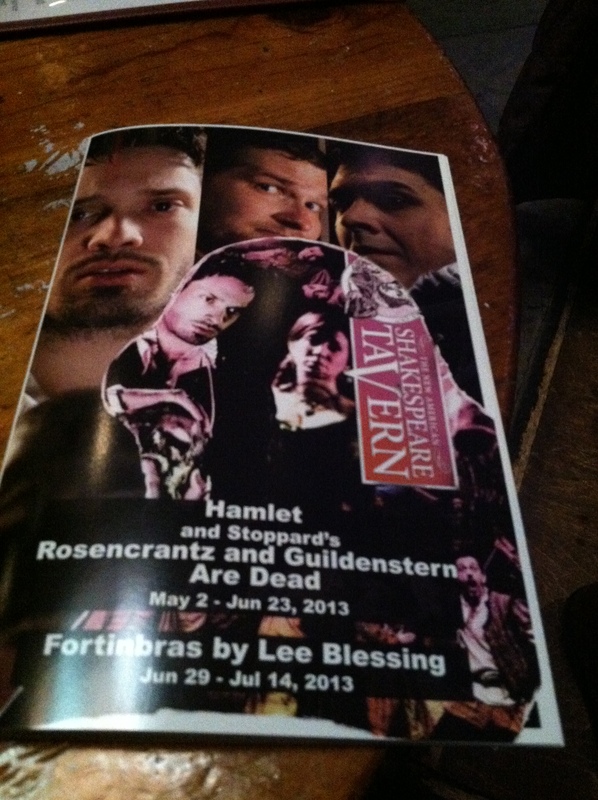 Saturday night we went to the Shakespeare Tavern in downtown Atlanta to see Hamlet. It was a long evening, but seeing Hamlet made it much more alive than reading it in a book ever did. For a synopsis of the story, click here. 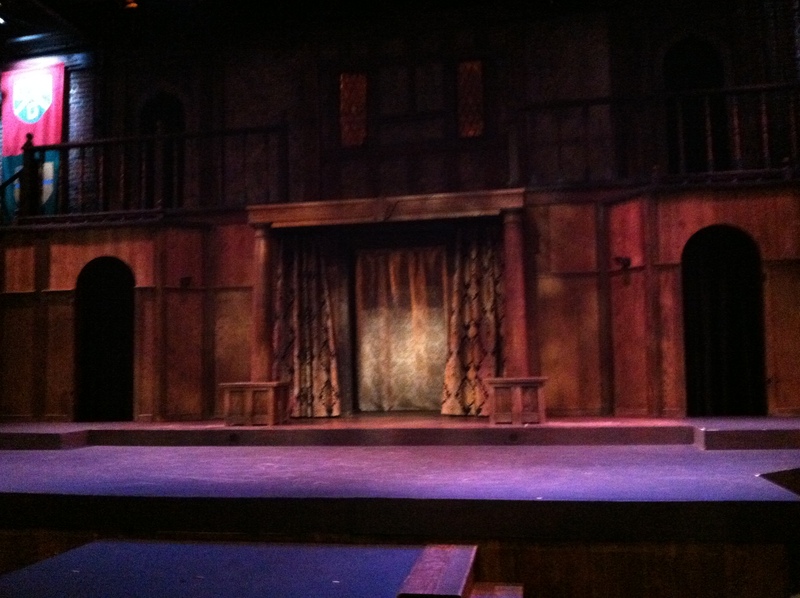 Stage before the play began. It was opening night and the energy was high. I don’t know how the actors will do this night after night with the same passion, but I sure enjoyed it. We haven’t done this before and it was nice getting out to do something different. The actor playing Hamlet had so much emotion – although they all did. I wasn’t too impressed with the actress who played Ophelia until Ophelia went insane. The actress was superb – wow! What a switch from a sweet young thing to a woman out of her mind with grief. Sorry about the pictures. I used my cell phone and don’t have any photo processing software on my work laptop. But I love sharing my days with everyone and even though it’s not up to my usual quality, the purpose here is to share fun and laughter. I had good meetings at our manufacturing facility today. There was wonderful hospitality from the catered lunch (Southern fried chicken) to the tour and the bottle of water on the way out. I learned a lot and I also gave out information about what I did and how I did it. So Tuesday brings meetings with legislators and the lieutenant governor, Wednesday is a seminar and meetings with attorneys. It’s been a lot of driving (pretty and very uneventful). So I hope you understand if I haven’t been leaving comments on your blogs. I’m reading them as I have time, but there hasn’t been much of it. I’m glad you’re enjoying the computer! Enjoy life on the open road, my friend! I really did enjoy the trip. The driving didn’t bother me – it was nice to have the windows down and sky roof open and just drive along to the next destination. It went faster than I expected. Sounds like you are having a wonderful time, Nancy! Actually, I was much closer than that. I was in Birmingham and did consider coming for a visit. The problem was even if I only stayed an hour (which would be hard to limit to), it would cost me an additional three hours in addition to the three hour drive back to Atlanta. I finally decided that I couldn’t be getting back that late and driving when I was so tired. I would have loved to see you though. I haven’t been keeping up, so I didn’t know you were on a trip. I hope it is going well. Our family enjoys playing games too. I think I’ve played Dominion before, although I can’t remember the game specifically. My daughter would be able to tell me. I’ve tried posting on-the-road as well. It has its challenges. I figure I’m doing good if I can just get a photo up somehow when I’m away from home. I do have a photo-editing app on my iPad, but I don’t know if it is available for phones. It might be worth checking into. Thanks Christine. I’d uploaded some photos, hoping to post. But I was too tired after working all day and by the time I got back to my daughter’s, I wanted to spend time with her, not be sitting at my computer. I always appreciate your support and comments; I’m glad you stopped by. Sounds like a trip full of wonderful surprises. Thanks for sharing. Thanks for the reminder! Sometimes I feel bad not posting more, but you’re right about the pictures being fun to see. Uneventful driving is good driving in my opinion. I totally agree. At one point, everyone started slamming on brakes and scattering into the other lanes. I couldn’t change lanes, so had to slam on the brakes and stay straight. I stopped in plenty of time, but I was glad I didn’t have my old Jeep. It wasn’t very responsive and wouldn’t have stopped in time like my Honda did. I got home safely, albeit with a little bit of excitement when a SUV cut off an 18-wheeler. Traffic was already at a standstill, so the damage was minimal. The two drivers standing in the middle of the highway screaming at each other wasn’t too funny though. And yeah, the texture did the same thing to me too. It’s really nice, but definitely has some patterns there. I’d read them in high school, but not since. The saying that a picture is worth a thousand words was really true here – I appreciated it much more to see than I ever did to read it. The actors did a great job too, which really made a difference. Thanks Darlene! I always enjoy hearing from you. I’m still learning the game, although I’m not losing too badly. I can’t wait to hear about your trip. I recently returned from our daughter’s, and find you’re on the road! It’s all about keeping in touch, I agree. I know – my timing was impeccable to leave just as you got home LOL!! The visits went well though – it was worth my time. And of course, fun to see my daughter for two weekends. Family visits are the best!